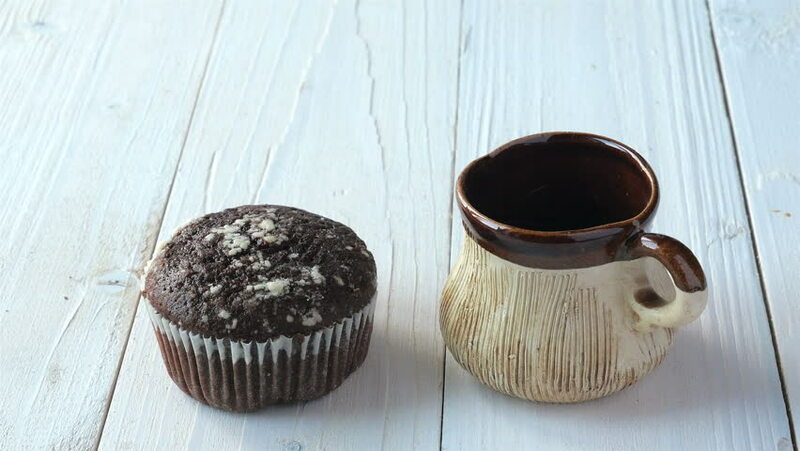 Chocolate cupcake and cup of coffee on a white wooden table. hd00:23Pouring chocolate batter over top. Making Chocolate Tart. hd00:14Prick the base of the pastry case all over with a fork. Making chocolate tart.